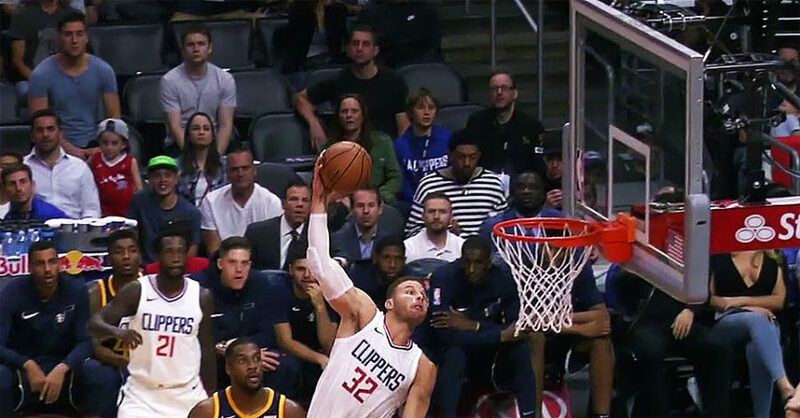 LOS ANGELES, Sporting Alert — Blake Griffin scored 22 points and the Los Angeles Clippers used a 14-2 run in the fourth quarter to help beat the Utah Jazz 102-84 on Tuesday night to stay undefeated in the early season. Griffin, who went 8 of 17 from the floor also grabbed nine rebounds and dished out six assists for Los Angeles (3-0), which led by as many as 21 points. All five Los Angeles Clippers starters scored in double-digits in their rematch after being stunned in Game 7 of their NBA first-round playoff series last season. Patrick Beverley added 19 points, five assists, four rebounds and three steals, but turned the ball over seven times across a game-high 42 minutes for the LA Clippers. Austin Rivers, who started in place of the injured Milos Teodosic, finished with 16 points, Danilo Gallinari ended with 14 points, six rebounds and three steals, while DeAndre Jordan converted 5 of 9 shots for 11 points with 18 rebounds in the win. ”They beat us in the playoffs. For the guys that were here tonight, that was something that was in the back of our minds,” said Jordan. Los Angeles shot 47 percent from the floor and outscored the Jazz 60-43 in the second half after taking a slim 42-41 halftime lead. Rookie guard Donovan Mitchell paced Utah (2-2) with 19 points, but was just 7 of 20 from the field. Rudy Gobert added 12 points and made all five of his shots, while Thabo Sefolosha ended with 11 points and 12 rebounds and Joe Johnson and Ricky Rubio each finished with 10 points in the defeat. The Clippers used a 19-2 run to open up a 73-52 lead late in the third quarter, but Utah managed to cut the deficit to 88-82 with 4:28 to play. ”We dug ourselves a hole, but I thought we did a good job of fighting back in the game,” Utah coach Quin Snyder said. Los Angles then used a 14-2 run to close out the contest and handed the Jazz their second road defeat. ”I loved how we executed for a team that really hasn’t been in a fourth-quarter tight game,” Clippers coach Doc Rivers stated. ”That was probably the most impressive thing that we did. The ball swung, moved, moved and we got shots.